A furious mother has slammed a lifeguard after being asked to leave a public pool while breastfeeding her 10-month-old baby. The woman, who has chosen to remain anonymous, was nursing her child at the edge of the pool while supervising her three-year-old son, who was swimming in front of her. ‘The lifeguard, a young female, asked me to leave because they don’t want milk getting in the pool and because my 10-month-old son might vomit in the pool,’ she told Yahoo 7 News. The mother was also told that food and drinks were not allowed in the pool and that getting milk in the water would be a hygiene risk. The mother explained that it was the centre’s policy for her to supervise her three-year-old boy while he was swimming the water. 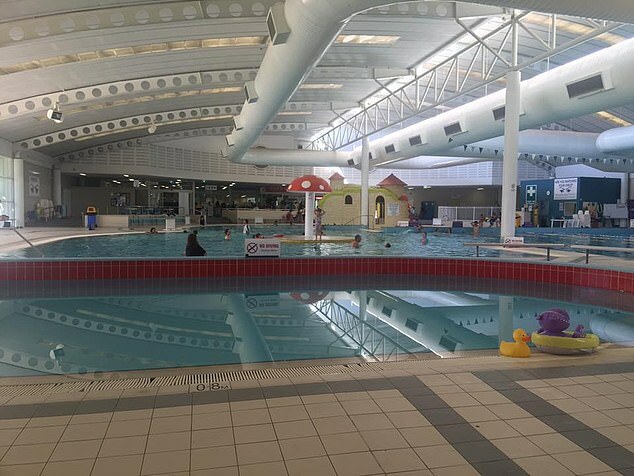 Her solution was to nurse her baby by the edge of the pool while supervising her son at the Lakeside Leisure Centre in Raymond Terrace, two hours north of Sydney. 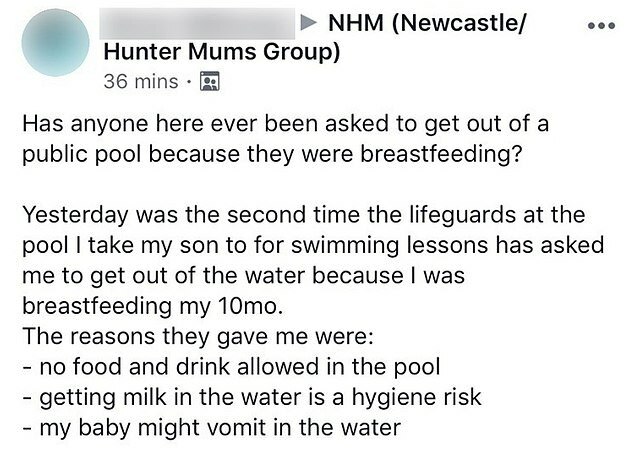 ‘I asked to see the pool’s policy on this and she informed me there is no policy about breastfeeding but that they don’t allow food and drink in the pool and if my kid vomits in the pool then everyone has to get out,’ she said. The woman added that it was the second time she was asked to leave the centre while breastfeeding. She said the lifeguard’s reasons were ‘pathetic’ and showed ‘ignorance’ on the matter. She complained about the matter on a Newcastle Mums Facebook group, but received mixed reactions. ‘There is a time and place for everything and feeding in the pool is not okay,’ wrote one man. ‘As much as I support breast feeding In public, we don’t eat food while we are in the pool,’ added another. 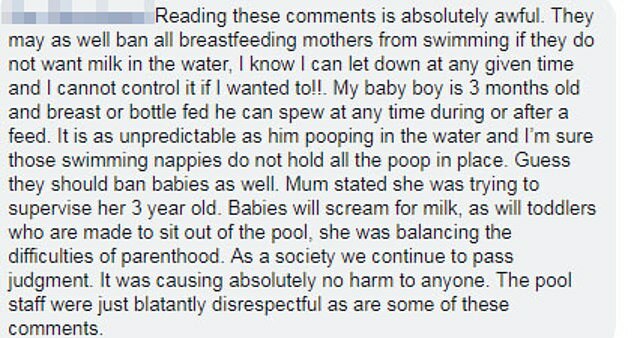 ‘Leaving aside the issue of breastfeeding in the pool, how can she possibly supervise her 3 year old, especially if the child got into difficulty, while having a baby attached to her breast?’ pointed out a third. Other parents sided with the mother, saying breastfeeding was far less of a concern than children peeing in the pool or diving in the shallow end. ‘I breastfeed in public pools all the time,’ wrote one woman. Lake Leisure Centre management confirmed they were investigating the complaint.